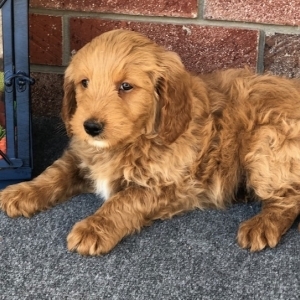 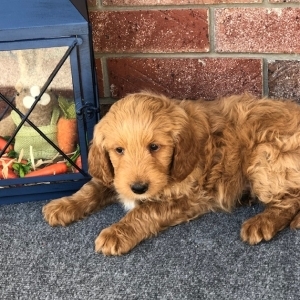 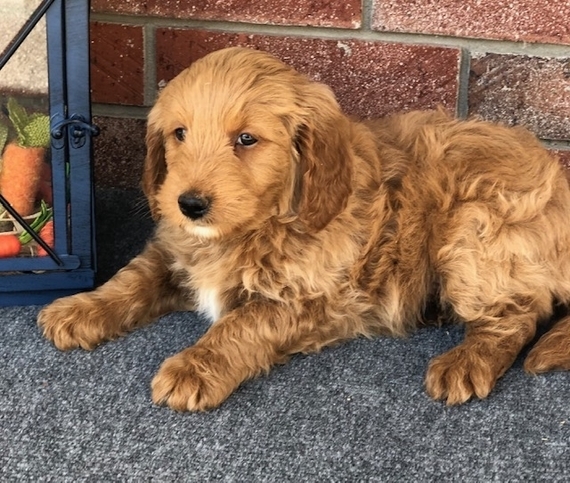 Kaden is a miniature F1b Goldendoodle. 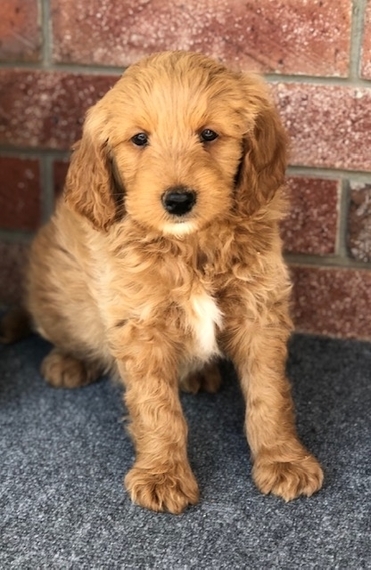 His dad is a red miniature full of life poodle. 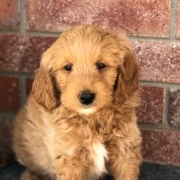 Mom is an apricot small in size Goldendoodle, sweet and very playful. 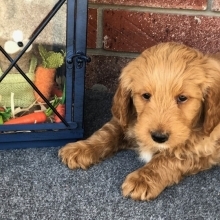 Kaden loves running and playing with his brothers and sisters, exploring and most of all giving kisses. 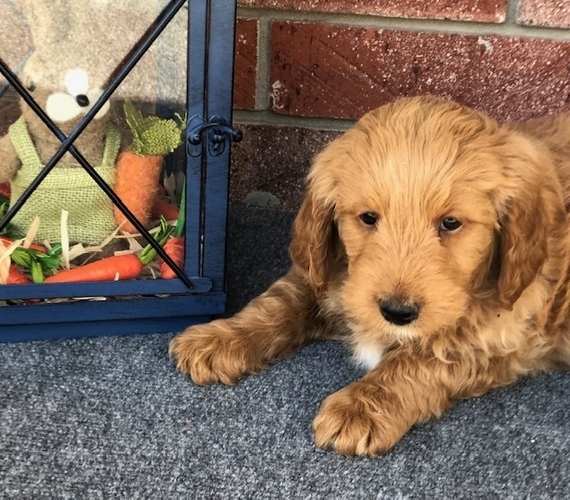 He is so excited to have a new family he can't wait to show you that he is packed full of fun and super ready to share all the love and fun with his new family.